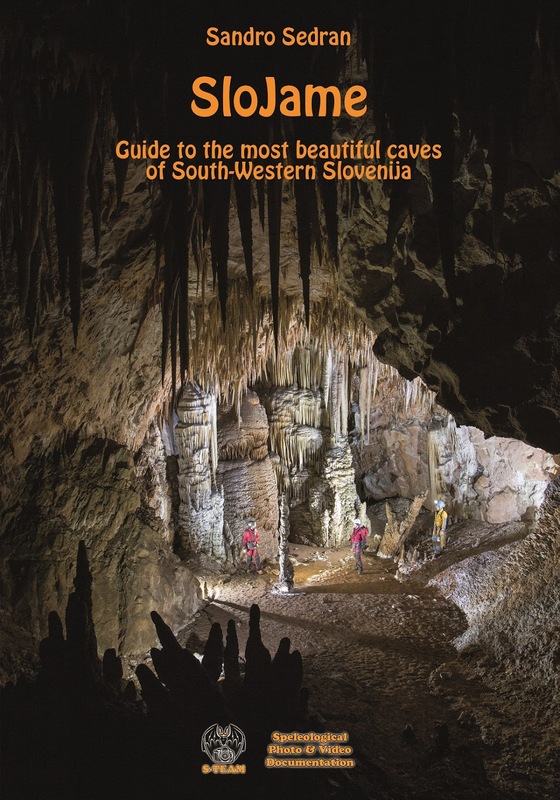 This is a publication entirely developed, managed, produced and distributed by the author. 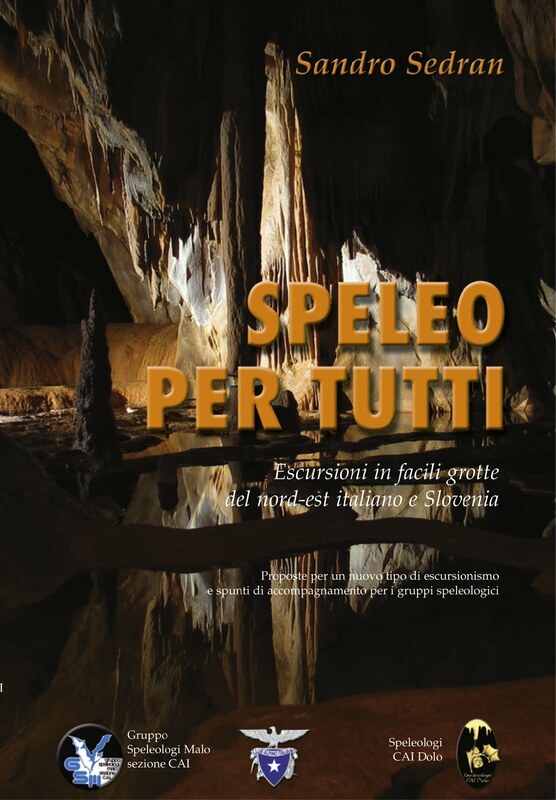 The book WILL NOT BE FOUND IN THE LIBRARY! 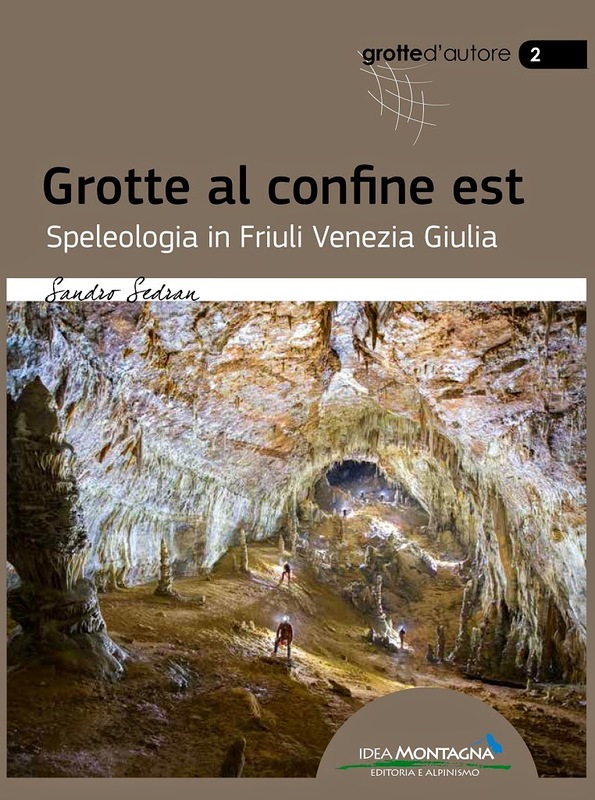 Contact the author for info. 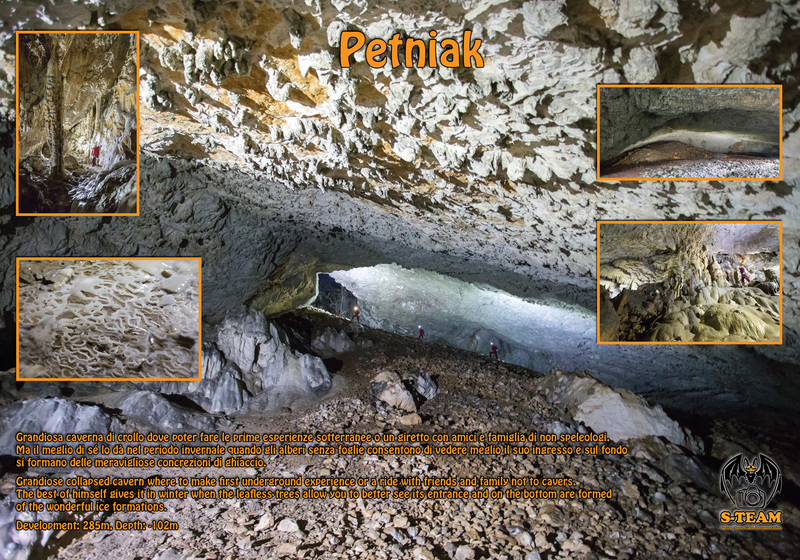 For every cave you will find a lot of pictures, car and walk approaching, description and a complete equipment sheet (ropes, carabiners, etc.). 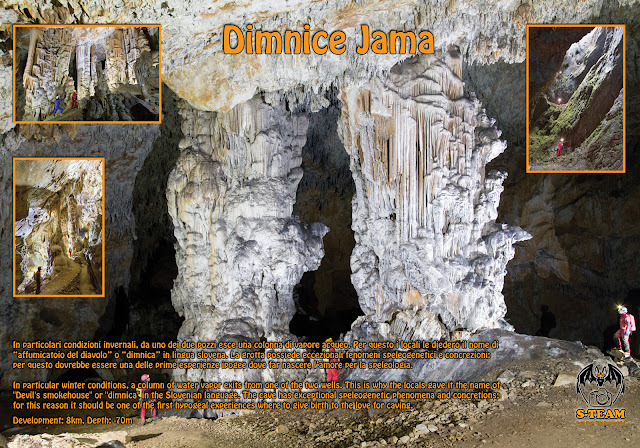 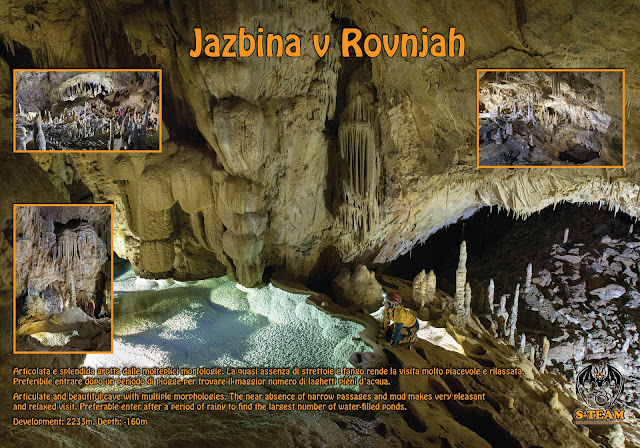 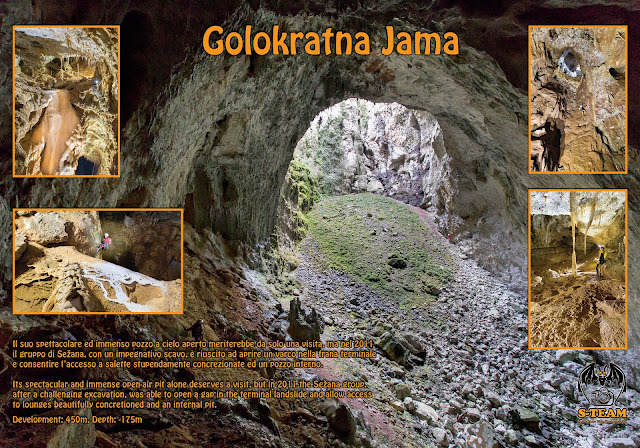 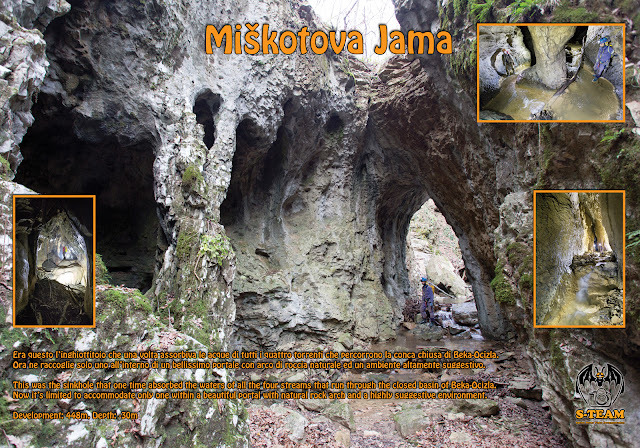 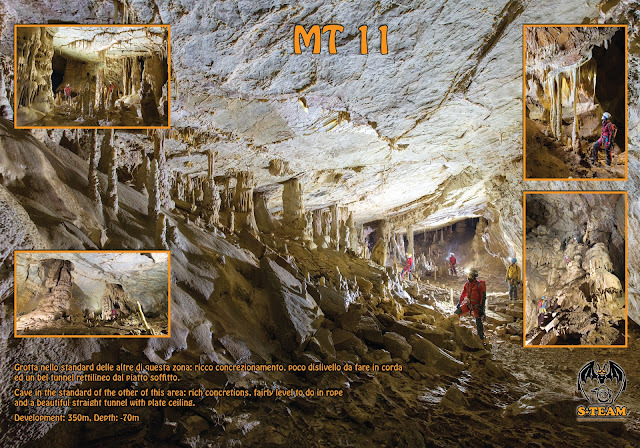 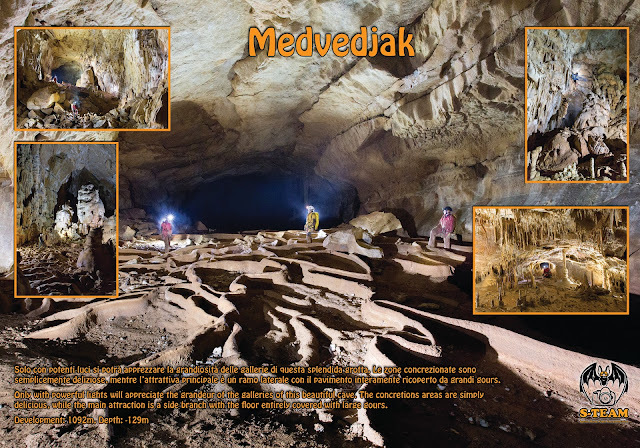 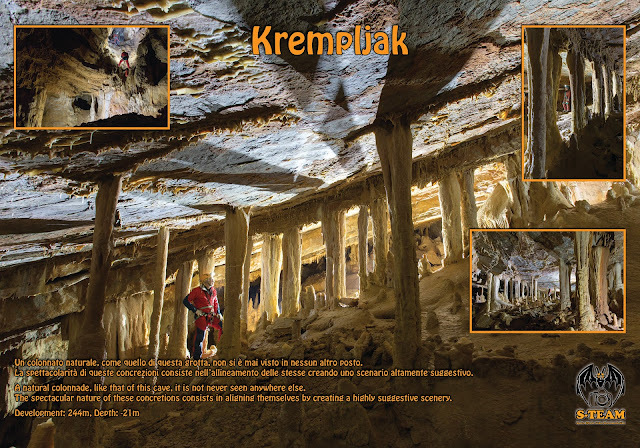 It's a guide with caves for cavers, but there are also 9 caves that can be done also by hikers. 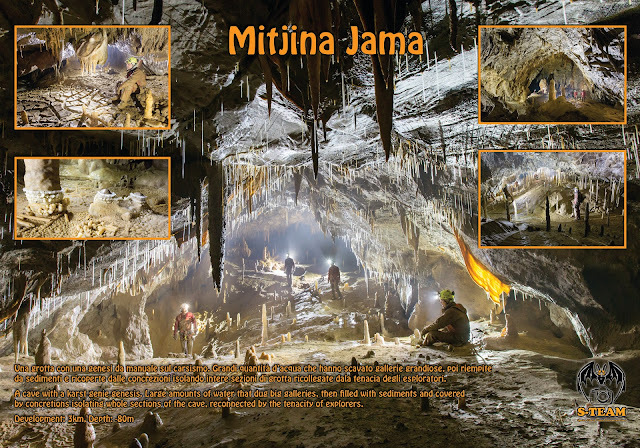 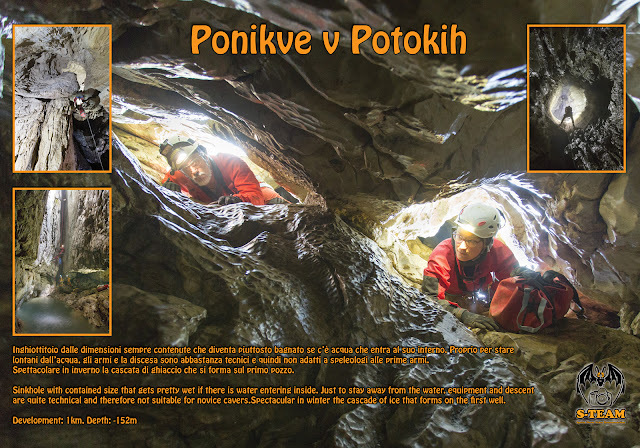 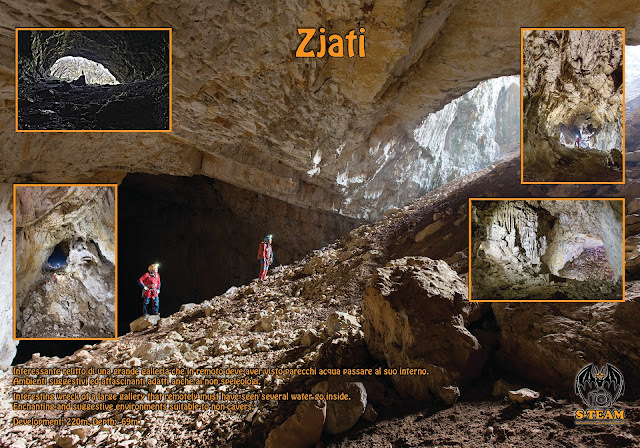 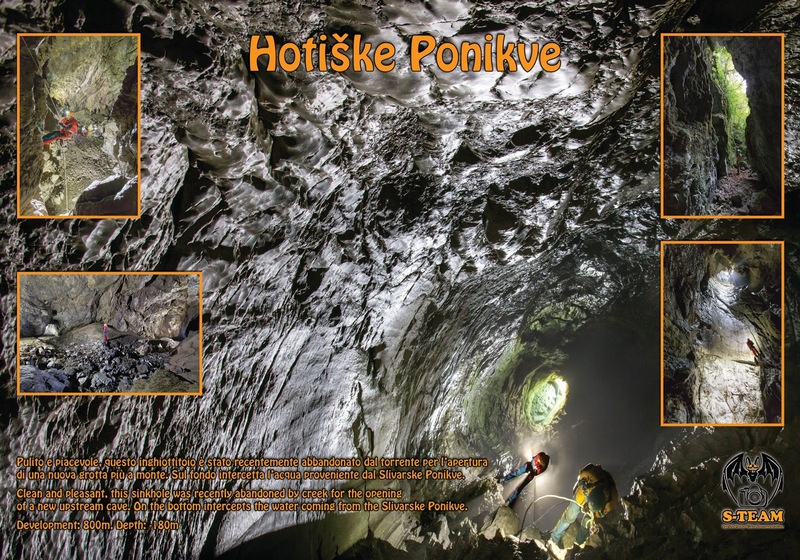 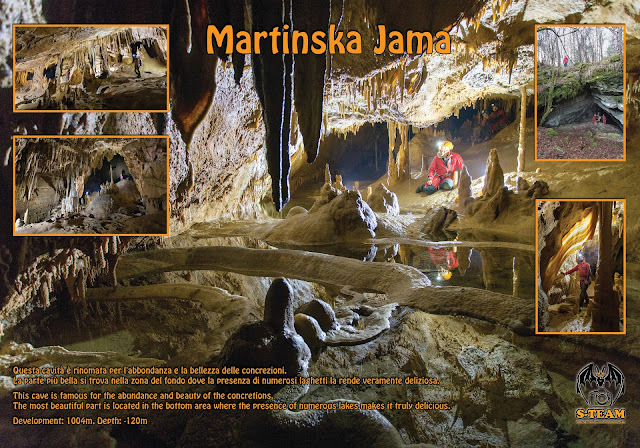 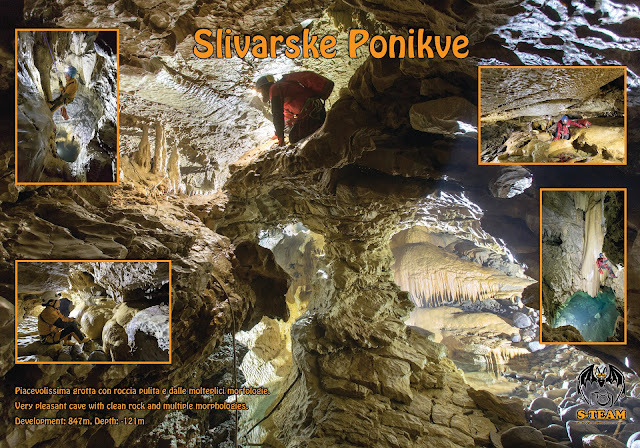 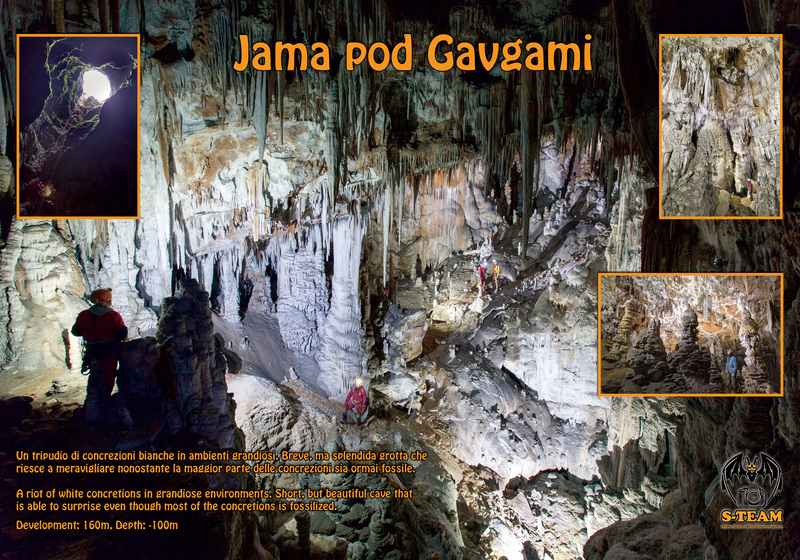 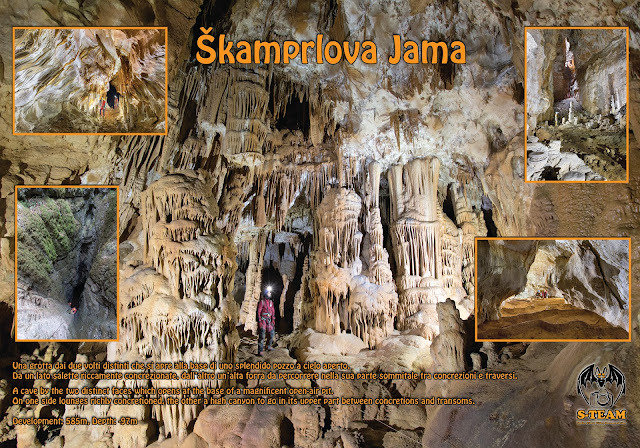 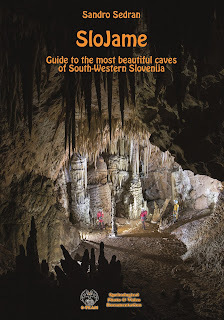 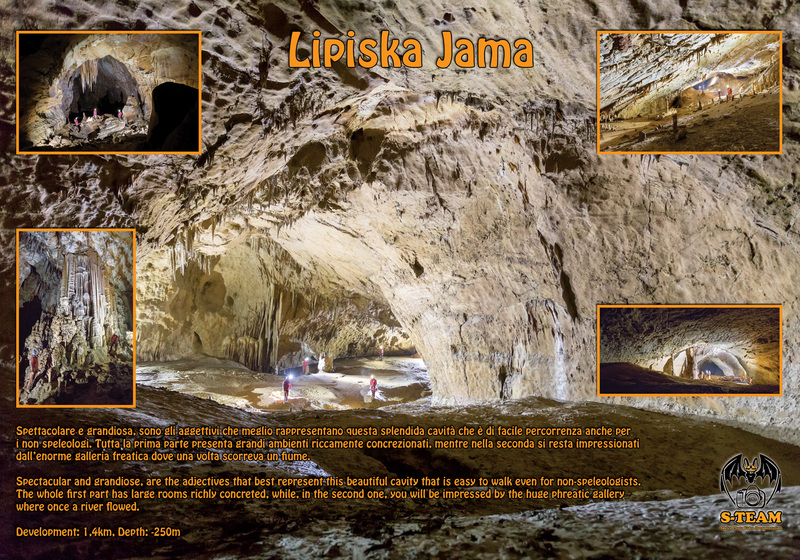 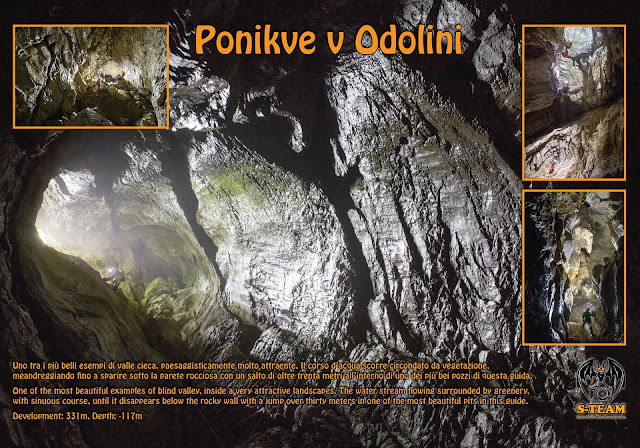 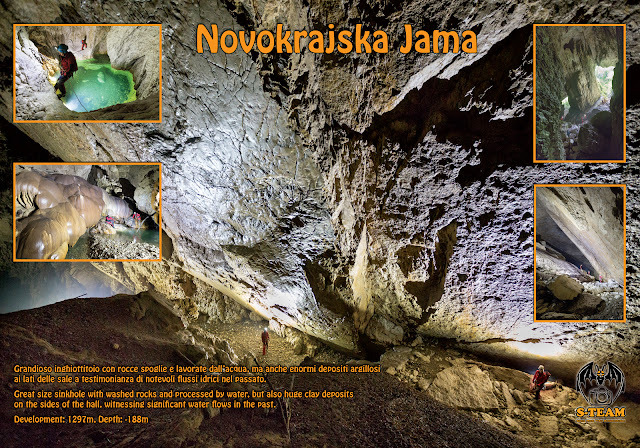 Slovenija is a caver’s paradise. 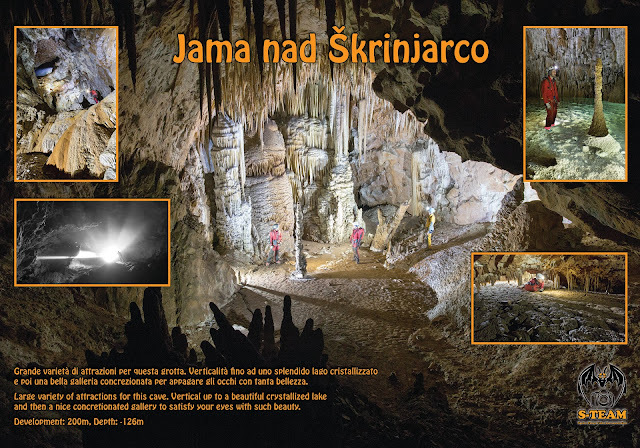 It’s southest region, Notranskja, include the most famous caves in the world: Postojna and Skocjan. 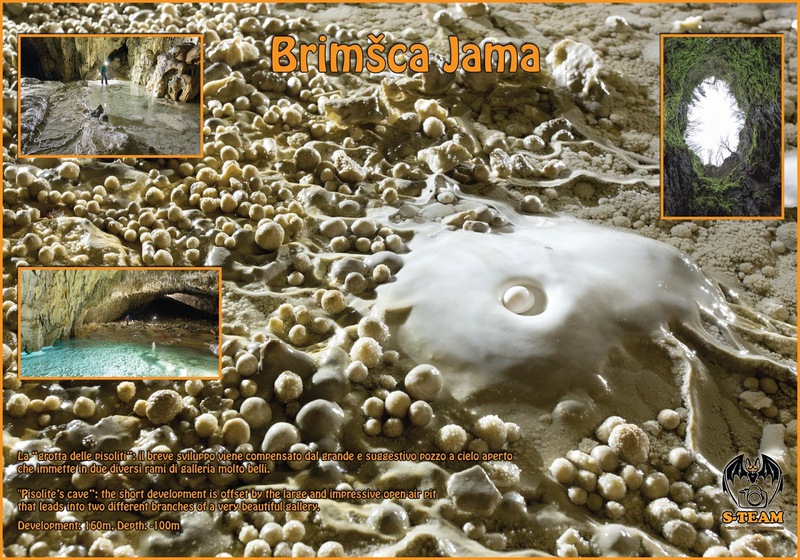 - semi-fossil caves, full filled of any type of concretions. 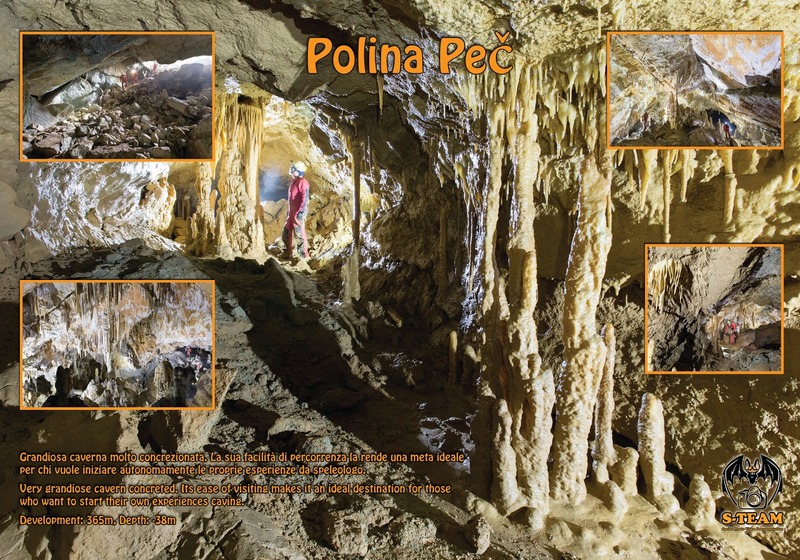 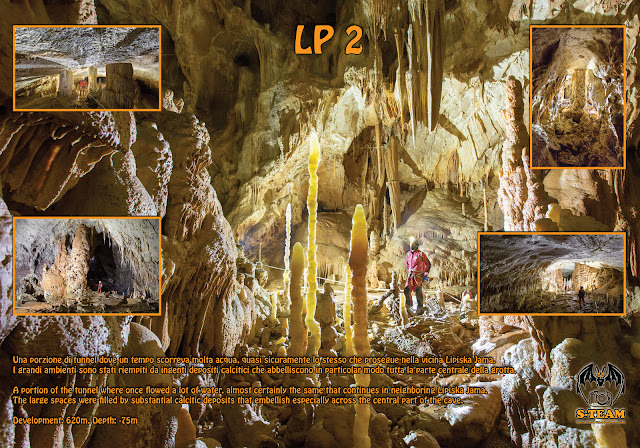 This is only free selection from the longest and more interesting caves located in this zone,very far from to be a complete guide of the carsic phenomena of this area. 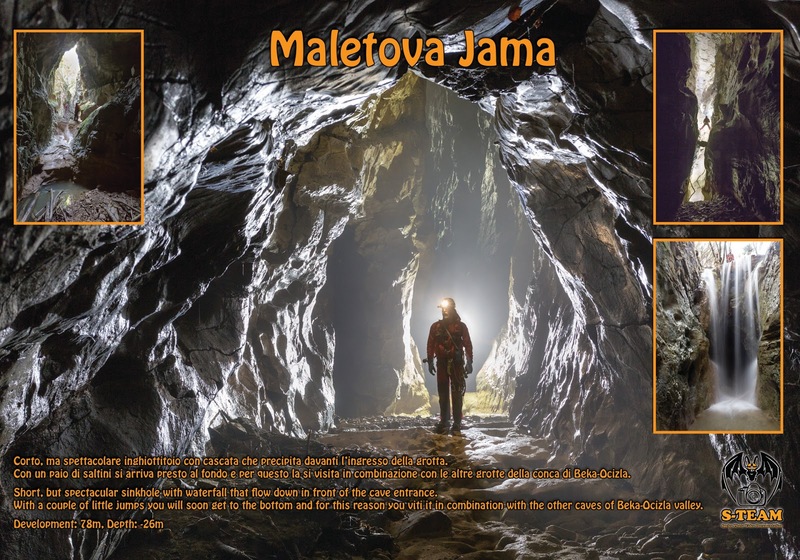 and indicate your mail address. 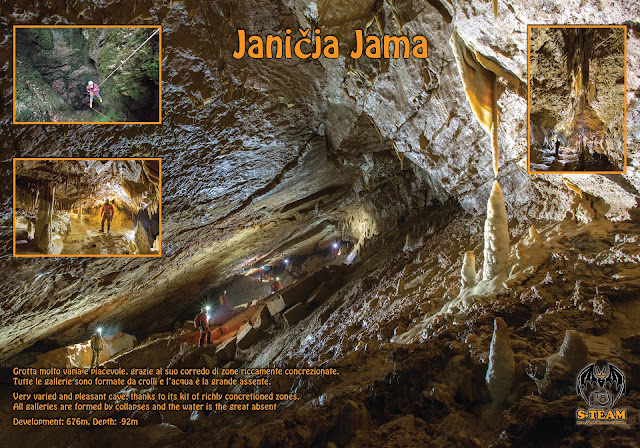 In summer 2018 the cave was closed by a gate due to nature protection. To organize a visit contact ZRSVN, OE Nova Gorica Tel. 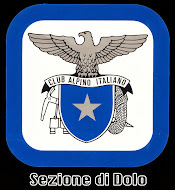 +386 05 330 53 10.